I immediately felt comfortable with Dr. Jean. He answered all of my questions and I didn't feel rushed. His office staff is amazing as well. The entire experience for me has been wonderful, I would recommend Dr Jean to anyone looking for a plastic surgeon. He was truly amazing. I'm so thankful for finding him. Wouldn't have trusted anyone else with my Mommy Make-over! Dr. Jean is exceptional. His bedside manner is kind, professional and attentive. He took the time to understand the outcomes I wanted for myself, calling me after office hours to answer questions as they came up and scheduling an additional appointment to meet with my husband and I before surgery. My outcome at 6-weeks is remarkable! What a wonderful surgeon! Words would do very little justice to how grateful and pleased I am with the care I received from the very moment I contacted Dr. Jean's office till even today 10 days post op Mommy Makeover. 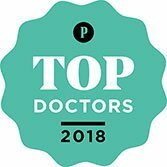 Dr. Jean and his staff are exceptional, professional and so caring. Kayla and Dr. Jean made me feel comfortable & safe. I knew the very moment he picked up the phone himself on a Saturday morning when I called thinking I would be leaving a voicemail that this was the start to a wonderful experience! After meeting Dr. Jean there was no question that he would be my surgeon my heart was at peace. He answered every question I had with so much knowledge. I would recommend him to my very closest family and friends. I'm so very pleased with my results and grateful that I waited till I found the very best surgeon! *After over a decade of thinking of this procedure everyday hoping, wishing and praying I'm so pleased and can't wait to see the final results! Super grateful! Dr. Jean, THANK YOU!